EAW025763 ENGLAND (1949). 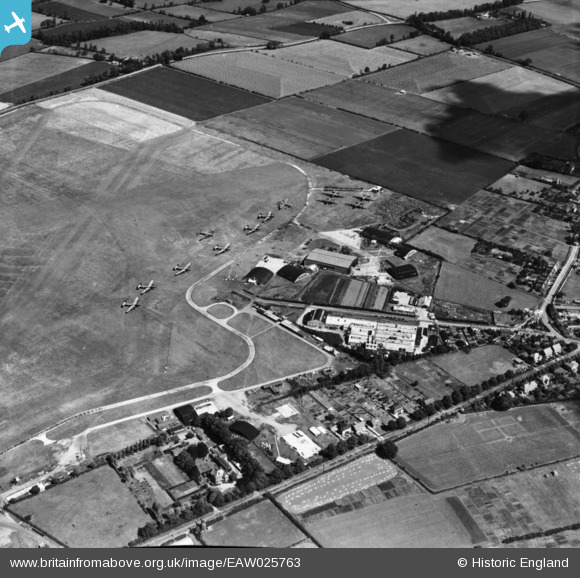 The Hordern-Richmond Ltd Hydulignum Works at Aylesbury and Thame Airport (Haddenham Airfield), Haddenham, 1949. This image has been produced from a print. Title [EAW025763] The Hordern-Richmond Ltd Hydulignum Works at Aylesbury and Thame Airport (Haddenham Airfield), Haddenham, 1949. This image has been produced from a print. Handley Page Halifax C Mk VIII, G-AKGN. Operated by British American Air Services Ltd. at Bovingdon then Chartair Ltd. Thame, where it was scrapped 17.12.1949.